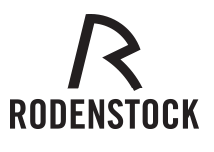 The Rodenstock brand stands for technologically demanding products of exceptional quality. Rodenstock are constantly asking: how can we make wearing spectacles even more pleasant, lighter, simpler and more comfortable? This attitude gives rise to innovative product solutions - which meet demands for the highest precision. Rodenstock has developed the progressive lens Impression® for an optimum vision experience. uncompromising aesthetics and a quality of vision which comes very close to the natural visual process. There has never been anything like it - the new Impression FreeSign® progressive lens is matched and created to your personal vision needs and simultaneously to your individual parameters for the first time. It provides balanced correction at all distances and in all directions. The Balanced View Control principal of impressions FreeSign means that distortions are minimised, vision is stabilised, and your sight feels as natural as it did years ago. To achieve the best possible progressive design for you, a 3D photo is taken with your glasses and all the required measurements are taken to create the perfect lens for you.